The Garrard/Lincoln Solid Waste Management Area is charged with keeping the more than 600 miles of roadways in the two counties clean and free of litter. 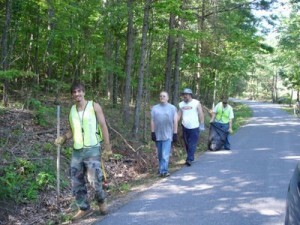 Litter crews consisting of paid employees and inmates work each day to pick up roadside litter and other unsightly debris. If you would like to request that a certain road be cleaned or report an excessive amount of litter on a road in either county, please call 606-365-9779.